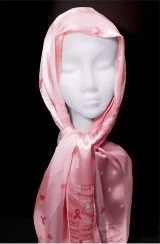 The Hearts Breast Cancer Awareness Scarf (Peach-colored) is made of 100% polyester. 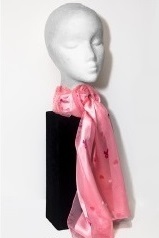 It is peach-colored with multiple ribbons and hearts. 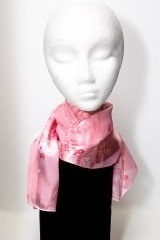 The scarf is 60 inches long by 13 inches wide.